Local Kenyans Donated Equivalent of $250,000 to Daylight in 2017! 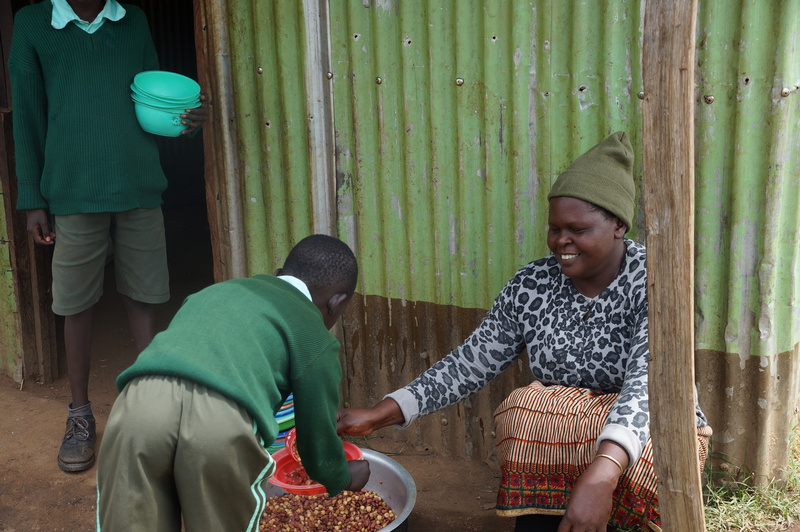 Local Kenyans donated the equivalent of $250,000 worth of volunteer hours, food and livestock grown in the Daylight farm, monetary, and in-kind donations to Daylight School in Kenya in 2017! 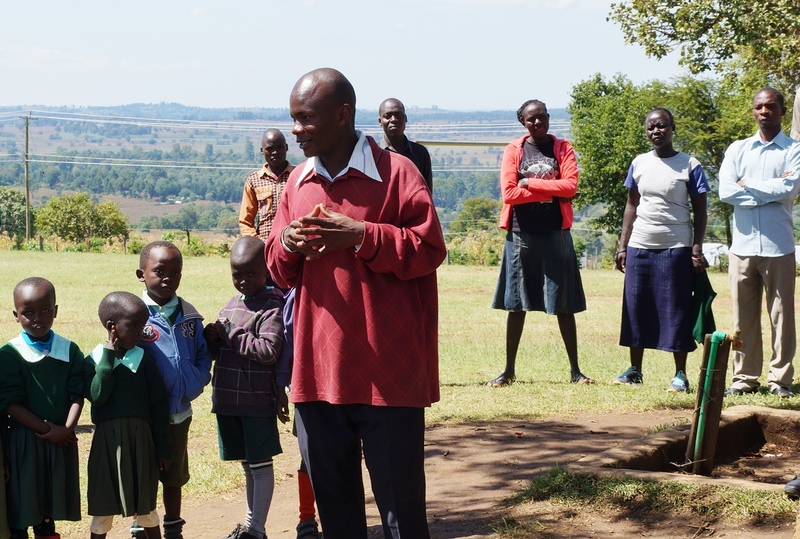 Daylight has always been a partnership between the local people of rural Kenya and American supporters. 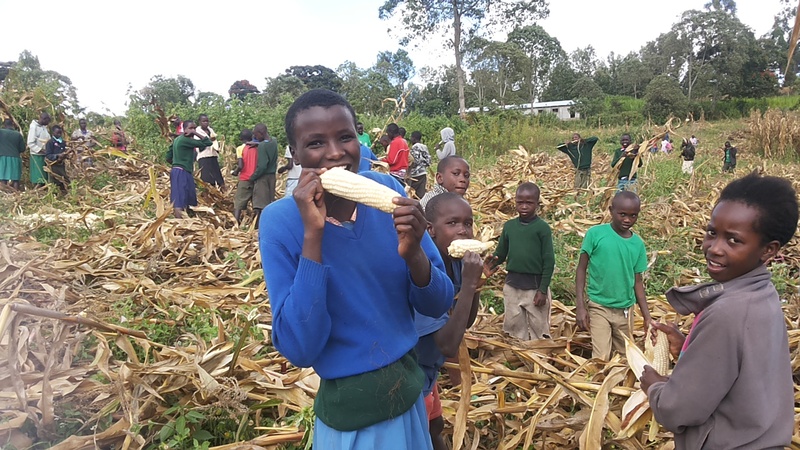 Kenyans donate their labor in harvesting the school’s corn or helping construct classrooms. They donate bricks for building projects and offer corn, rice, and beans for the students to eat. Daylight Teachers are often young people who have just graduated college. And, like in Teach for America in the U.S., our young teachers volunteer to help Daylight at only a fraction of a usual teacher’s pay. Daylight’s 25 teachers donated $20,000 in volunteer hours per month! Our four school cooks have children who attend Daylight! After serving and cleaning up 300 bowls, they donate several hours each week to the school. These hours are valued at $400 per month! 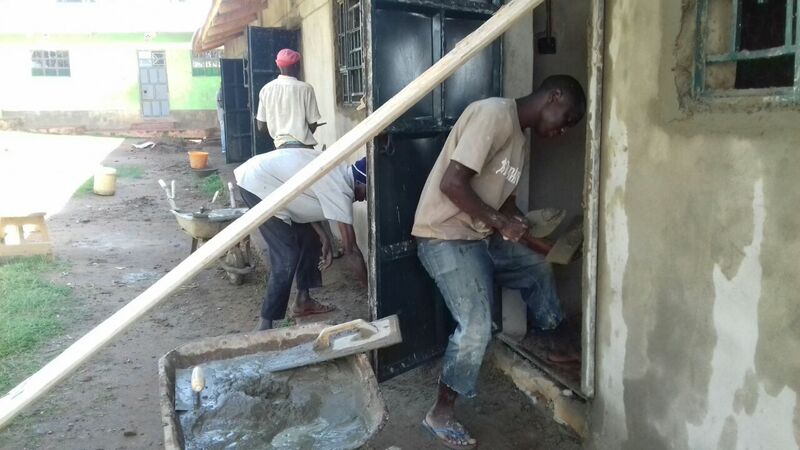 In addition, the local builders and neighbors who construct our classrooms donate around $1200 in labor each month. The local businesses give Daylight reduced rates because they believe in the work we are doing. The construction delivery truck company reduces their typical fees by $250 each month. Relatives of Daylight students, local businesses, and neighbors donate what they can to help Daylight grow. 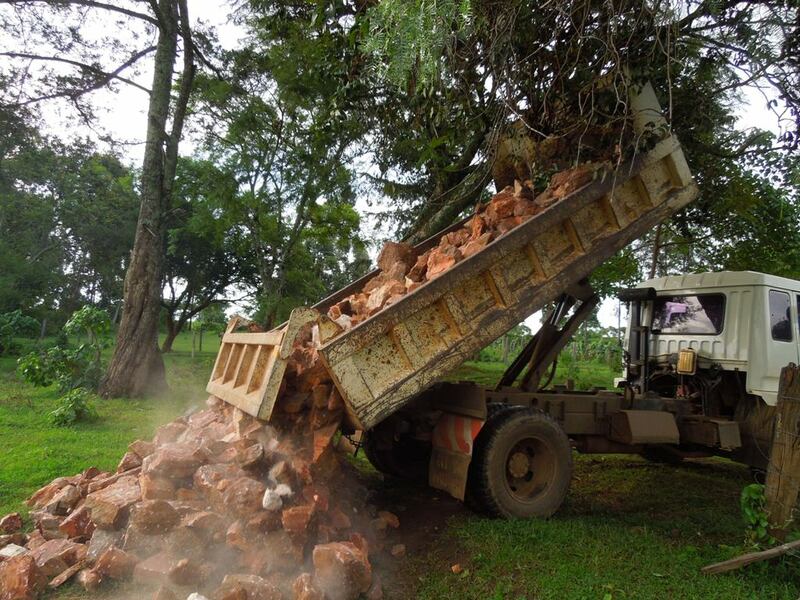 This year they donated bricks and sand to build the K – 3rd grade classroom. Each month they donated around $2,000 in corn, beans, rice, bricks, and donations. Daylight is also a working farm! With an eye towards sustainability, Daylight produces three tons of corn each year and has five cows. Daylight harvests $12,000 in corn and beans and $50 per month in milk. The corn is in the background and the kids are drinking the milk! Local politicians, business leaders, and individuals make generous monetary donations to Daylight throughout the year! Daylight is a partnership. 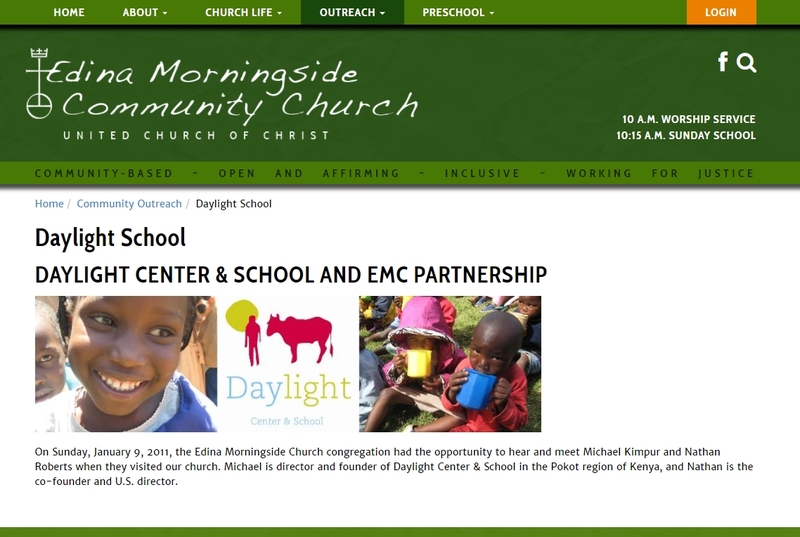 Edina Morningside Community Church (UCC) is a small church with around 200 members. We have a very committed congregation to our outreach programs. One of our favorites is the support of Daylight Center and School and the children. Here are a few ways we have found helpful to get our congregation more connected to Daylight. We have been supporting Daylight ever since Michael Kimpur and Nathan Roberts visited our congregation to introduce us to Daylight in January of 2011. Since that time we have participated in many projects to provide needed items for Daylight. Since then we have sponsored collections for blankets, textbooks, bedding packages for one of the new dormitories, goats (which became 1 cow and 3 goats at Michel’s request) and sponsorship of a Daylight child. 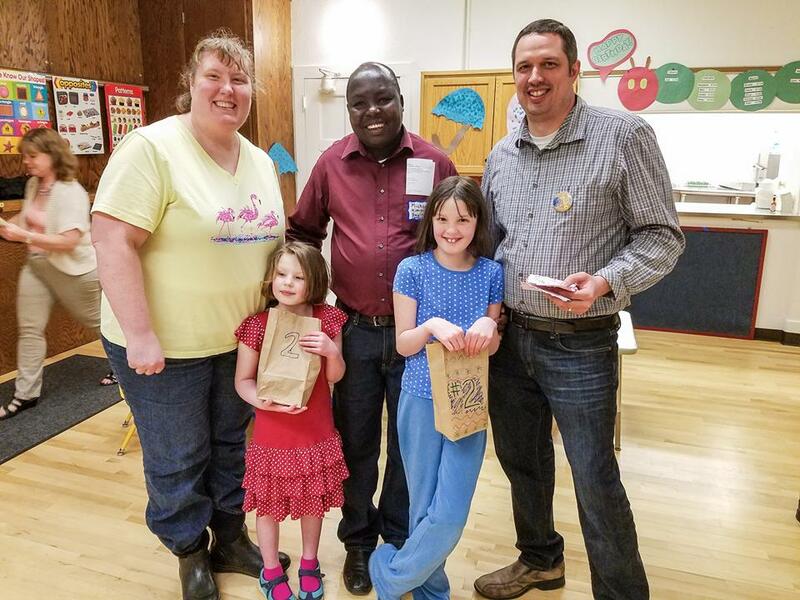 Edina Morningside has individual supporters that give to Daylight monthly towards our general fund, helping to provide food for the students and teacher salaries that are so important to making it all possible. In addition to this the congregation undertakes special projects to meet specific needs at Daylight. The church likes to see how we are doing to reach our goals so I make a tally poster for each project which is posted in the narthex, report how we are doing during announcements and in the monthly newsletter. Here are some examples. 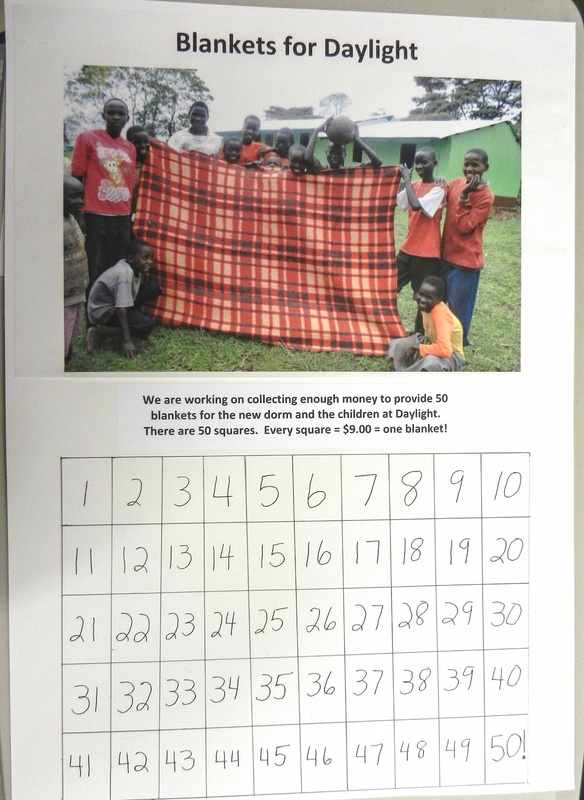 As we collected funds for each blanket a square was filled in with a picture of a square of the blanket material until the entire poster was filled. I find that it is always important to let the congregation know the final tally and thank them for their participation. Rachel Arneson was kind enough to provide us with copies of the textbook covers so we would know what they looked like. Each books cost $6.00 and, as the funds came in, I filled in a square to represent a book sold. This is an example of a “thank you” to the congregation that appeared in the monthly newsletter. 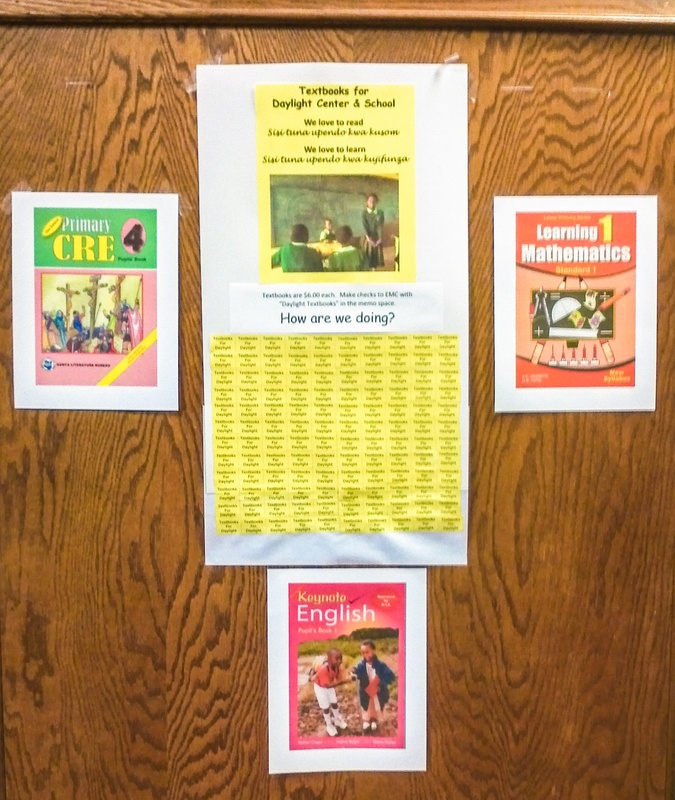 MANY THANKS TO ALL WHO DONATED TO BUY TEXTBOOKS FOR THE CHILDREN AT DAYLIGHT CENTER AND SCHOOL! Through your generosity we collected enough money to purchase 120 books! That is wonderful! Please check out the pictures of the covers of some of the textbooks that the Daylight School children use. They are posted around the “tally board” in the narthex. Again, thank you! Asante! Each bedding package consisting of a blanket, sheet, pillow and mattress, cost $40.00. As the funds came in I posted a “bedding package” on the poster. You’ve Done It Again! Thank You! Through your generosity, 38 Daylight students will be cozy and comfortable in their new bunk beds in the new dormitory. Our Congregation donated funds to purchase 38 bedding packages! Thank you so much! Please continue to keep the people of Kenya, the staff and children at Daylight and the dedicated people who support Daylight in your prayers. Besides these funding projects, I capture information and photos from the “One Minute Updates” and prepare an article about Daylight for our monthly newsletter – The Messenger. This keeps information about Daylight in front of the congregation and requests that we continue to pray for Daylight. The Daylight article is posted on the bulletin board in the Narthex each month. You can also share the One Minute Updates from Daylight’s Facebook Page on your church social media. I hope some of this information will be helpful in encouraging your congregation to support Daylight. I’d love to hear what you are doing for Daylight. If you are interested in becoming a congregational liaison between Daylight and your community please email info@daylightcenter.org. 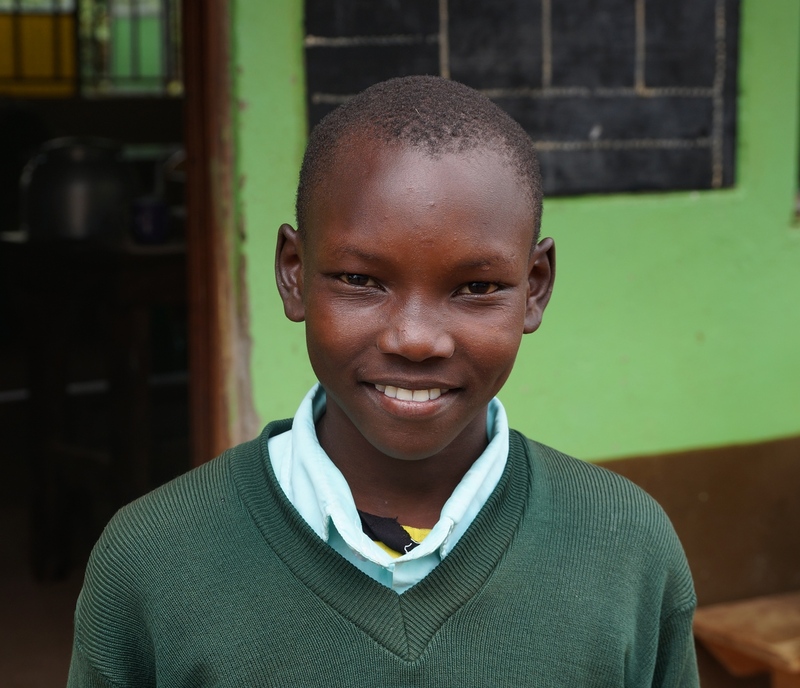 Isaac and his brother came to Daylight because his family could not afford to send Isaac to school. Because their family lives too far away for them to walk each day, Isaac and his brother stay overnight in the Daylight dormitory. After class you will usually find him on the Daylight futbol field. “It keeps my body strong,” he smiles. “Maybe someday I want to visit America. I’d like to see how cold it is. What being really cold feels like on my skin.” He has met enough of our volunteers from Minnesota to have heard a lot about snow. On behalf of Isaac, his family, and all our students, we thank you for supporting Daylight.